Why Westerns may ride back into town after sunset. Big mistake in this article where they say IBM "makes the computers that run on COBOL". This should be "makes the computers that run COBOL programs". I can't find a place to comment or email the author. CAUTION: This email originated from outside of CA. Do not click links or open attachments unless you recognize the sender and know the content is safe. programs". I can't find a place to comment or email the author. Science!). That's why I.T. management is so full of it. People who frustrate us will be around for as long as we need them. The industry appears to be reaching an inflection point, though. WTF? That doesn't look like and S/360 I've ever seen. 7030? Yea, it looks like it's way too wide, but I think they made some odd "one off" or small batch 360's. The upper picture is a model 75. How can they tell it's using COBOL from the photograph? 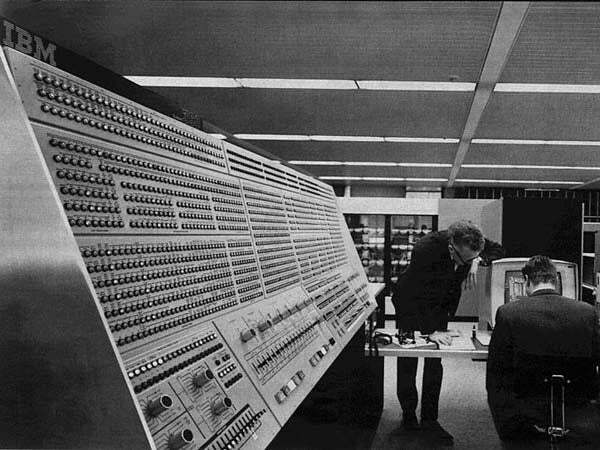 My wild guess is that it's in an IBM laboratory and if it is running at all, it's running diagnostics. and things fly across the screen. then take payment through my bank and run it through my GL showing it in my accounting system so I can see the P&L. and is ONE YEAR OLD. (when new ideas come up or the users have new requirements). what mainframe runs and there's nothing wrong with that. years old and is also legacy. Ha ha ha..... I did all of that in the early 1980's, then again in the early 1990's. Both companies were a manufacturing company.